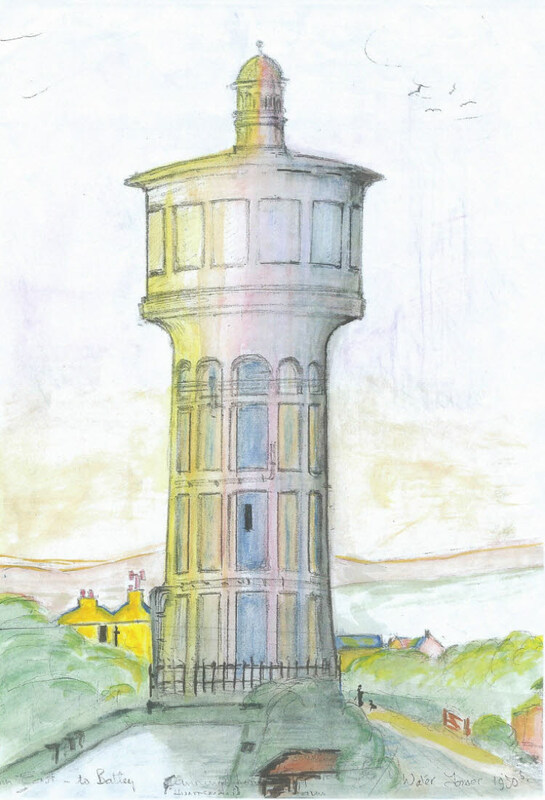 Gawthorpe Water Tower, Chidswell Lane to Gawthorpe and North Ossett. Holy Trinity Church is in the background. 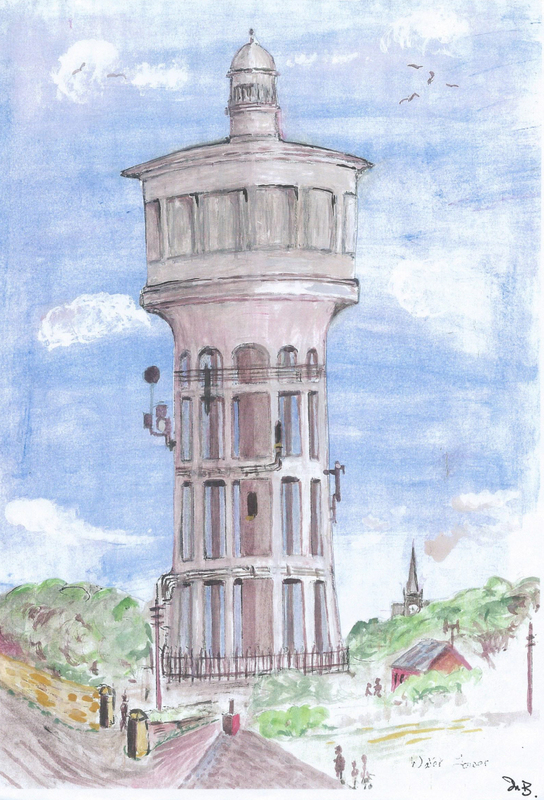 Over many years both the Water Tower and the Holy Trinity Church spire have been important landmarks for travellers returning home to Ossett. To some kids born in the 1940s the imposing Water Tower was known as “The Iron Teacher” after the Hotspur Comic robot character which appeared in the Hotspur for the first time in August 1954. Another sketch of the "Iron Teacher" this time from Benny Harrap’s with Johnny Shepherd’s farm and Cannings House (now The Huntsman).